Arguably, the West has the most uniformly strong economy of all the nation’s major regions. 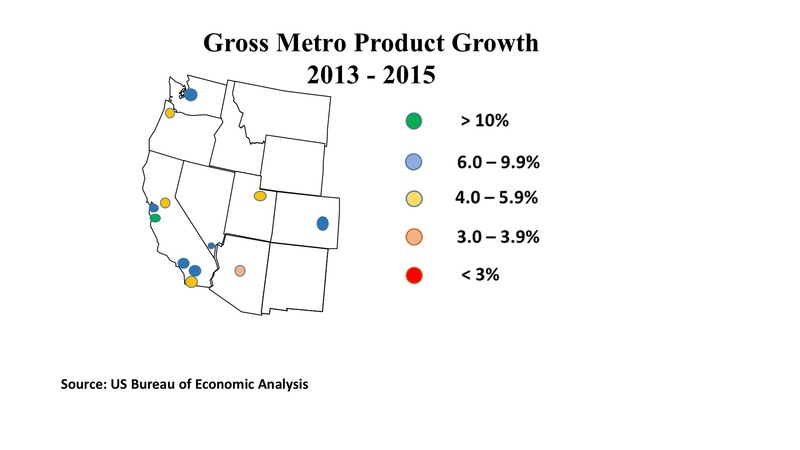 The accompanying map shows, since 2013, the percentage growth in GMP (Gross Metro Product). GMP is the local equivalent of GDP, total output of goods and services. San Jose posted the highest such growth among all U.S. metros, a white-hot 17 percent expansion in two years. 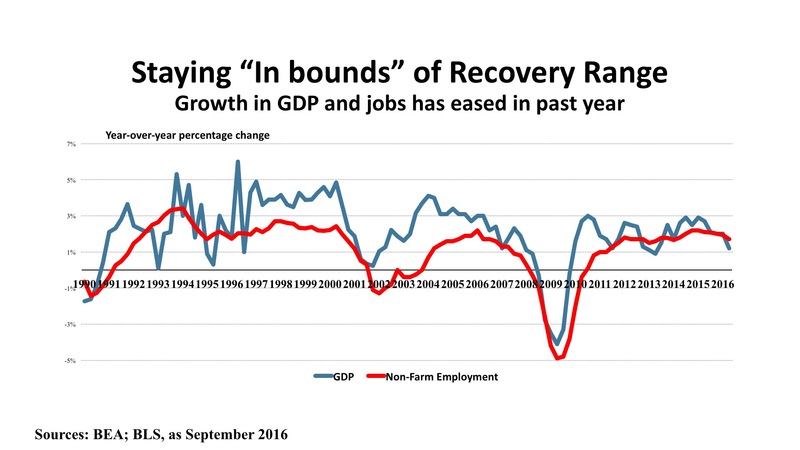 This is especially impressive when we consider the sluggish performance of U.S. GDP over the same period. Silicon Valley was not an isolated example of economic strength. Six of the eleven remaining metros (Denver, Las Vegas, San Francisco, Riverside, Seattle) registered GMP change between six and ten percent for 2013 – 2015. Moreover, four other metros (Portland, Sacramento, Salt Lake City, San Diego) expanded between four and six percent. Only Phoenix, with 3.9 percent change over two years, mirrored the U.S. moderate growth rate as Arizona struggles with a 5.8 percent statewide unemployment rate (as of August 2016). Many of the Western states, by contrast, have jobless rates well below the national average of five percent. Utah, for instance, has unemployment at 3.7 percent and both Colorado and Idaho are just a tick higher at 3.8 percent. In terms of job additions for the twelve months ending August 2016 (the most recent available data) Utah added 42,800 (3.1 percent), Colorado 71,600 (2.8 percent), and Idaho 22,000 (3.3 percent). Such job gains were nearly twice as fast as the U.S. employment change average of 1.7 percent. California, the nation’s largest statewide economy, stands above all others in job growth, with a stunning 378,000 net new jobs. This represents 15.4 percent of all the jobs added in the United States during the past year. While housing affordability issues are increasingly discussed as limiting the ability to attract new workers, on balance California is in the midst of an enviable period of robust growth. Low unemployment and rapid industry expansion has led to strong wage growth in technology, banking, and healthcare. Engineers are in short supply in the aerospace and defense sectors. 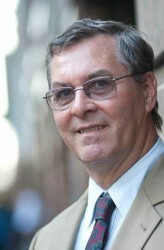 Doctors and nurses are also much in demand, as are financial services professionals. At the other end of the scale, there has been a significant push in several metros to raise the minimum wage. This has a particularly potent multiplier effect as low-wage workers tend to turn earnings directly into new consumption, boosting the retail sector. The long-term drought saw some relief in 2016, but this year brought another major fire season to the region, highlighting the West’s fragile beauty. A recent report from the San Francisco Fed district bank notes mixed influences on key regional industries. Pharmaceuticals are seeing terrific profitability – although recent controversial price increases have again brought unwanted scrutiny to the drug companies. Semiconductors are posting stable growth. Federal budget concerns are posing some constraints in the aerospace sector. Agriculture and tourism are both affected by the severe swings in weather in the short term and climate change in the longer run. For now, though, the West’s economic momentum is strong and the outlook for 2017 positive. Office. 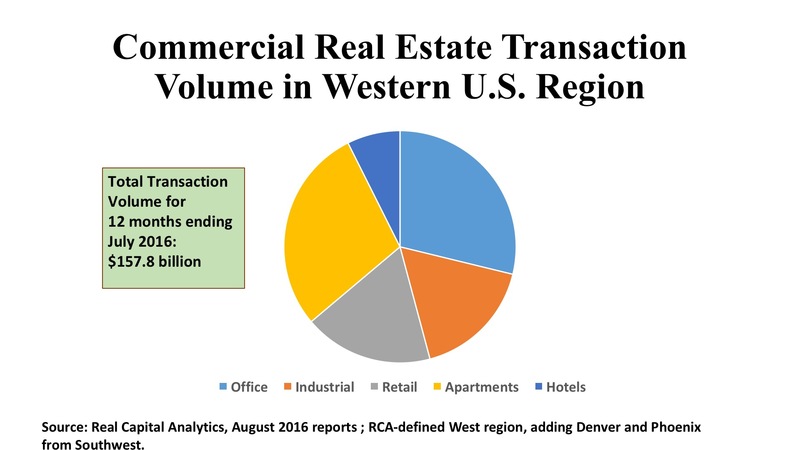 There were 1,793 office property acquisition in the Western states in the twelve months ended July 2016, with an aggregate investment volume of $43.3 billion. Of this, $31.2 billion (72%) was directed toward suburban properties. This was a far higher concentration on the suburbs than was typical of the nation, where CBD offices captured 48% of investment overall. Downtown San Francisco and Seattle were more aligned with the national picture, with $4.2 billion and $3.3 billion in CBD asset sales respectively. Los Angeles also topped the billion dollar threshold downtown, but L.A.’s CBD volume was dwarfed by its $8.9 billion in suburban deals. Orange County (not included in the L.A. metro figures) added $2.6 billion to the suburban totals. Much has been written about investors shunning suburban office assets, but clearly that is not the case in the West. From Sunnyvale to suburban San Diego, the West is averaging a 6.2% cap rate and $288 per square foot for newly acquired suburban office buildings. Industrial. Approximately one-third of the West’s $25.6 billion in industrial property development is directed to the Flex/R&D sector, a far higher percentage than the national share of 27%. The tech-based economies around San Francisco Bay – particularly San Jose – drive this divergence from the U.S. pattern. Seattle and Los Angeles have also seen nearly a billion dollars apiece in Flex property investment in the past year. Nevertheless, the dominance of the basic warehouse/distribution property should not be ignored. L.A saw $3.7 billion in warehouse deals, at a 5.4% cap rate. The Inland Empire (Riverside) attracted $2.4 billion in basic industrial properties, at the same 5.4% cap rate. Other distribution markets exceeding a billion in investment included Oakland/East Bay, Orange County, and Seattle. As an indication of investor’s valuations, warehouse assets in prime locations have sold for $80 - $115 per square foot in recent months in the Inland Empire and outside of Seattle. Retail. Shopping center assets have been out of favor in recent years, but something of a turnaround appears to be underway. The Western region has tallied 1,874 retail property deals, worth a combined $27 billion, in the past twelve months. Investors seem to have finally noticed that the NCREIF (National Council of Real Estate Investment Fiduciaries) performance index shows that shopping properties have yielded better returns than any other property type since 2000. Retail cap rates in the West average 5.8%, significantly lower than the 6.5% national average. Likewise, the price per square foot in this region, at $322, is 47% higher than the U.S. norm. The spread applies equally to malls, strip centers, and “other” retail properties, including urban high street assets. In the past year, Los Angeles ($6.3 billion) and Las Vegas ($3.5 billion, largely due to the TIAA acquisition of Fashion Show Mall) have led in total sales prices. But five other markets (Oakland/East Bay, Riverside, Orange County, San Diego, and Seattle) all passed the billion dollar threshold. This is a testimony to the vigorous growth in GMP mentioned in the discussion of the regional economy, the upward pressure on wages in the last year or two, robust job additions, and continued population growth from both domestic and international migration.